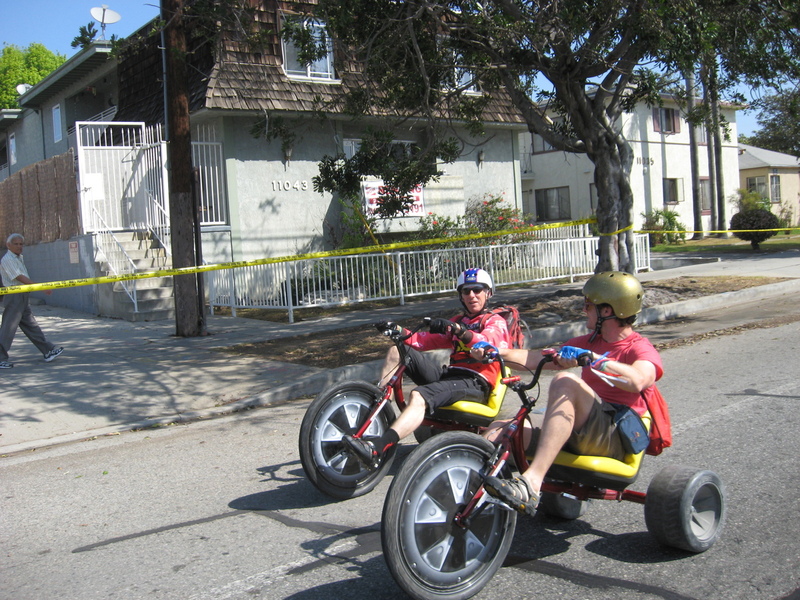 Today was the latest edition of CicLAvia, and it was the most ambitious yet. They closed down streets all the way from City Hall downtown, out to Venice Beach. 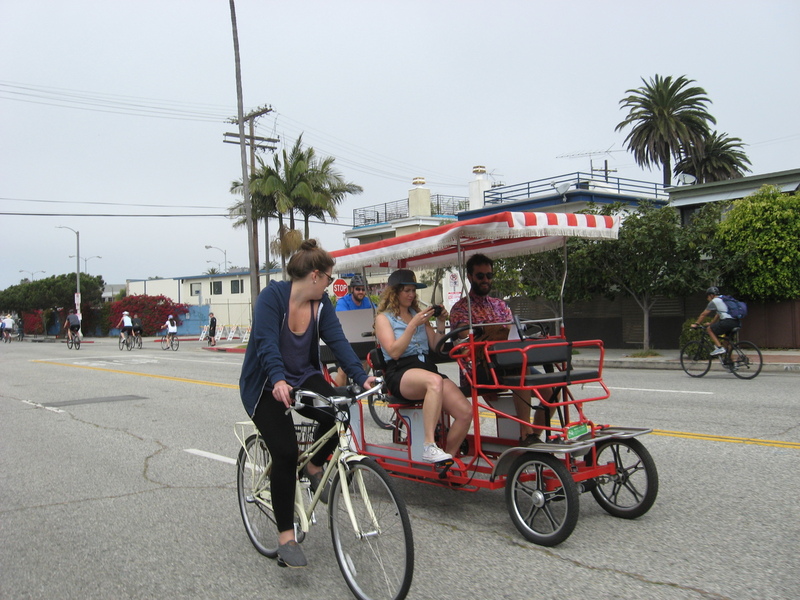 It’s not often, or even ever, that we get to ride to the beach from Pasadena, so today was our chance. 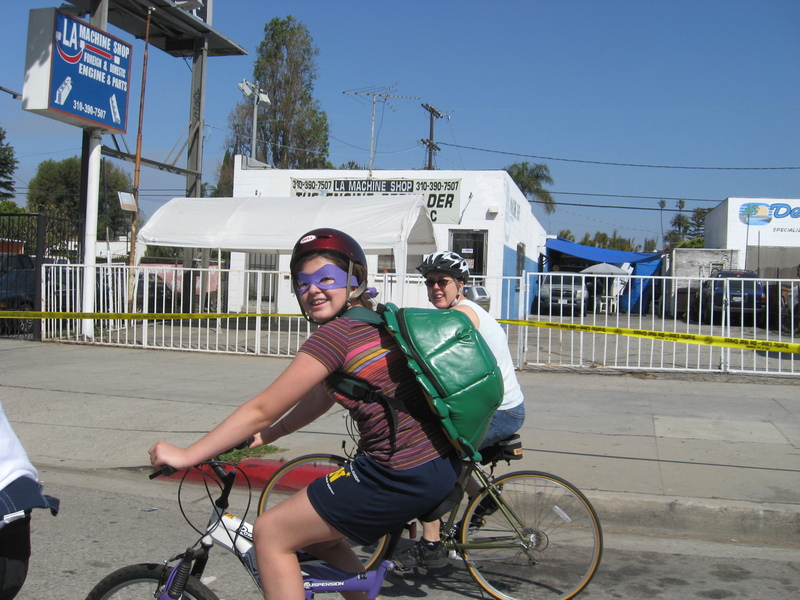 We rode downtown by our usual route down Huntington Drive. 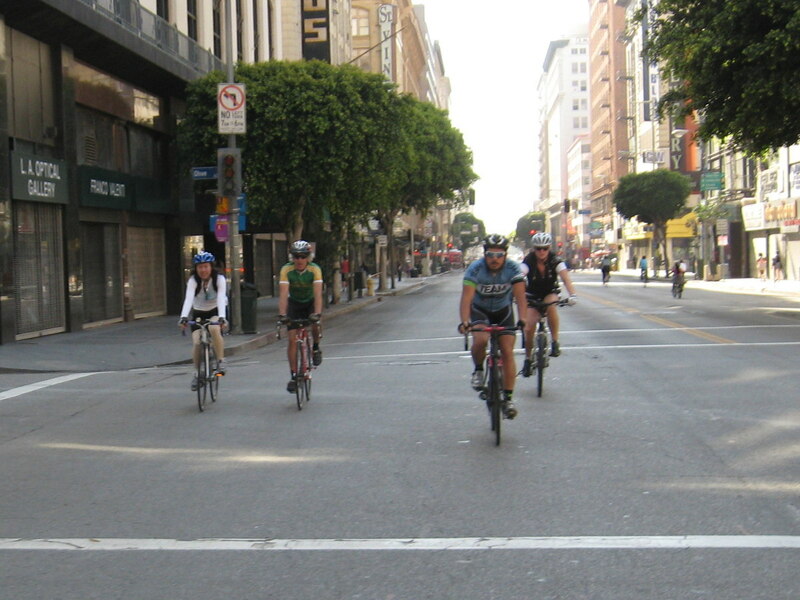 And once we were there, we picked up the CicLAvia route going south on Main St. 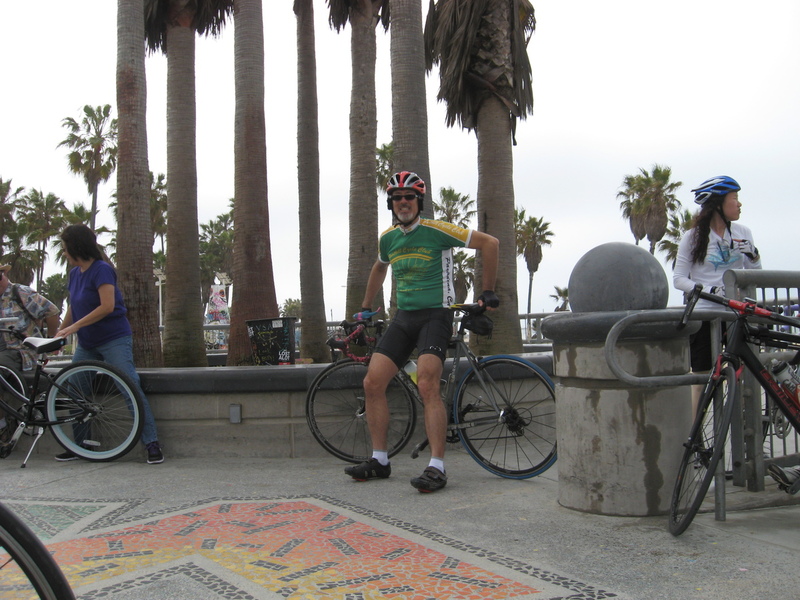 The route went west on 7th out to MacArthur Park, and then south a bit to Venice Blvd, and then all the way out to the beach. We got there a bit early, so the route wasn’t officially open yet, but that was good, since it wasn’t crowded. 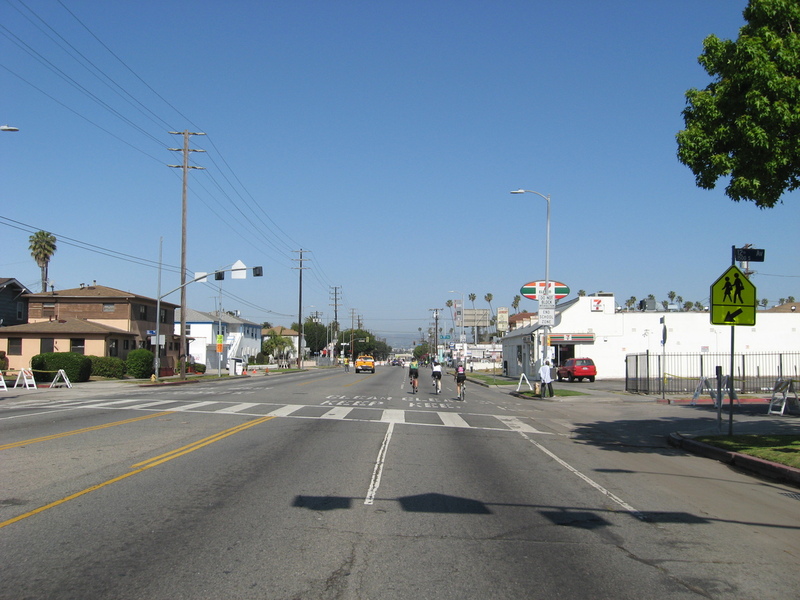 By the time we got out to Culver City, I could feel the cool ocean breeze. That’s nice, since we just don’t get that in Pasadena. We made very good time, and we were at the beach by a little after 10:00. We rode out as far as we could to get as close to the water as we could on our bikes. 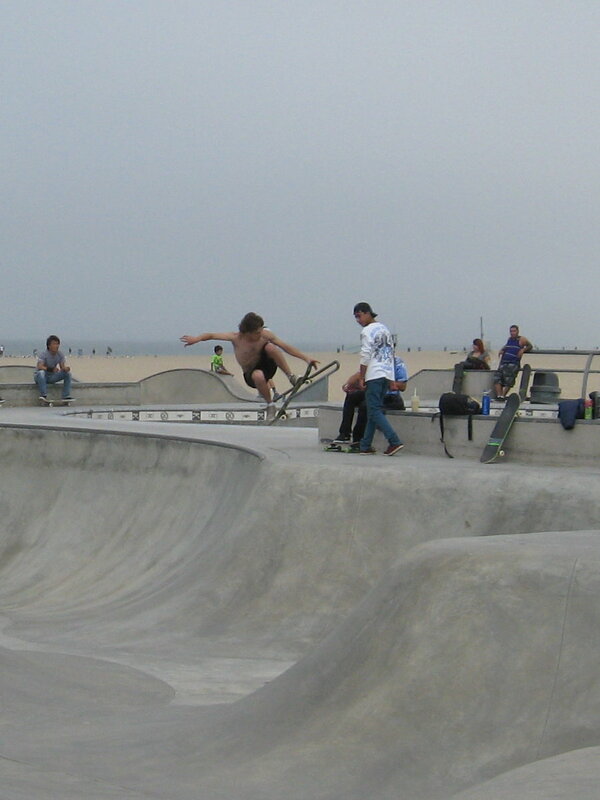 Then we stopped for a bit to watch the skateboarders. 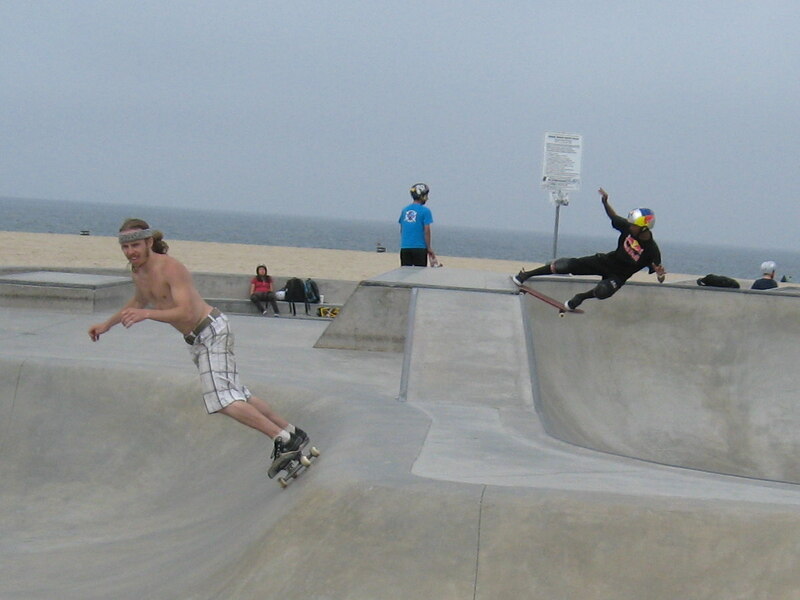 That reminded me of the documentary “Dogtown and Z Boys“, and how the 1977 drought led to great innovation in skateboarding, since the water shortage meant that there were a lot of empty swimming pools around. It was pretty entertaining watching them. Heading back, the crowd had grown considerably, and most of the ride back was like Friday evening on the 405. Still, it was a nice day, and we made it back to downtown, and then we headed for home. 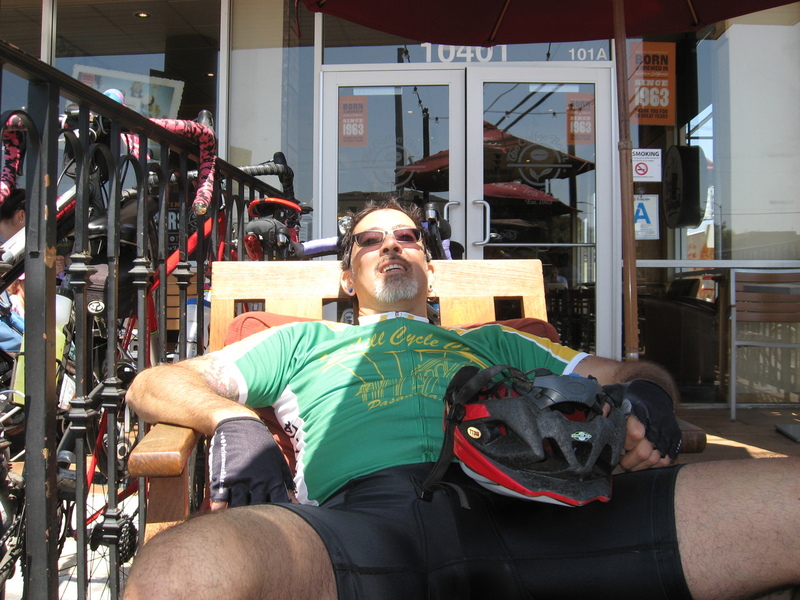 I’d estimated that the total ride would be about 60 miles, and when I got home, I had 59.4. So I went and rode around the block just to get to 60 miles. It was a fun day.